EVs charge mostly at night. As EV battery prices drop and become a mass market item they offer the opportunity to soak up night time peaks allowing larger capacity of night peaking renewables (wind power) to be deployed. Figures 1 and 2 show how the wind tends to peak at night. This will allow more to be available available during the day when demand peaks. Texas and California offer a great examples of this with wind picking up as the sun goes down. Consider Texas, the most wind rich state in the country. They are building out wind rapidly. However perhaps not as much as they would like. The problem is that wind in Texas is night peaking but the load from air conditioning peaks in the daytime. Wind is not a good match to the Texas load as it stands. But if EVs were ubiquitous they could charge at night enabling Texas to better take advantage of their wind resource while reducing carbon emissions from autos and from the coal and natural gas power plants that would otherwise be required to charge them. 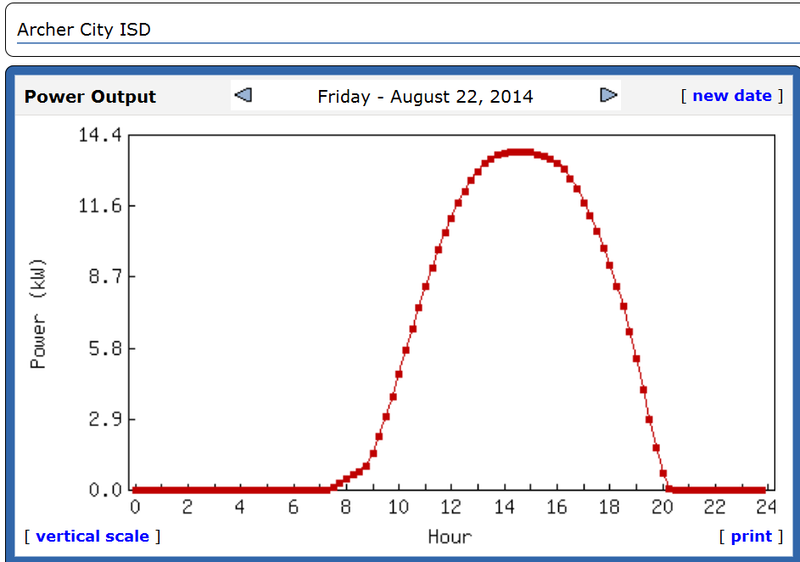 The graphs below are typical of summer load and generation profiles in Texas and illustrates the point well. 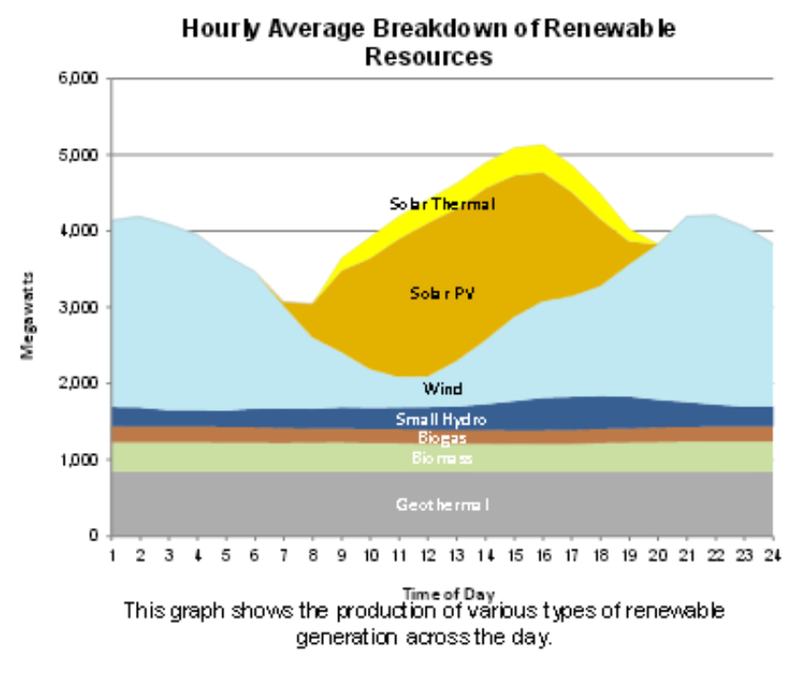 While the graphs above show the resource for a day, figure 3 shows the typical behavior for the entire year. The subscription based educational portal Solar Learning Lab provides access to a variety of solar data sites from around the country. The screenshot in figure 4 below shows data from an Archer City Texas solar array. The match with wind above is quite good. If Texas pursues solar to augment wind they will have an excellent complementary resource. It is important to note that the fit is not perfect. Around 7:00pm, solar has dropped off considerably while wind has not yet ramped. This can be addressed by use of tracking arrays. In the Southwest they tend to be cost effective on an energy basis and in this case would have the added benefit of making the solar / wind pairing eligible for a much higher capacity credit. In other words, the tracking arrays would reduce or possibly eliminate the reliance on peakers by filling the 1/2 hour gap that otherwise is present during the transition from solar to wind. Figure 5 below shows the benefit of tracking arrays. The data is from two solar arrays are at Rensselaer Polytechnic Institute in Troy NY. They are the same size and use the same inverters. One is on a fixed mount and the other on a tracking mount. Notice that the tracking array provides electricity until much later in the day. Another way to address the notch is through load shifting. EVs are one way to accomplish load shifting but there are others with substantial potential. An excellent approach is to use a system like the Ice Bear . It stores cooling energy in the form of ice rather than a battery and can be a very cost effective load shifter. Another example is to run your dishwasher later at night. This offers a double payoff by reducing electricity at peak hours while reducing air conditioning load by reducing the amount of heat at peak times (the dishwasher gives off heat when running.). 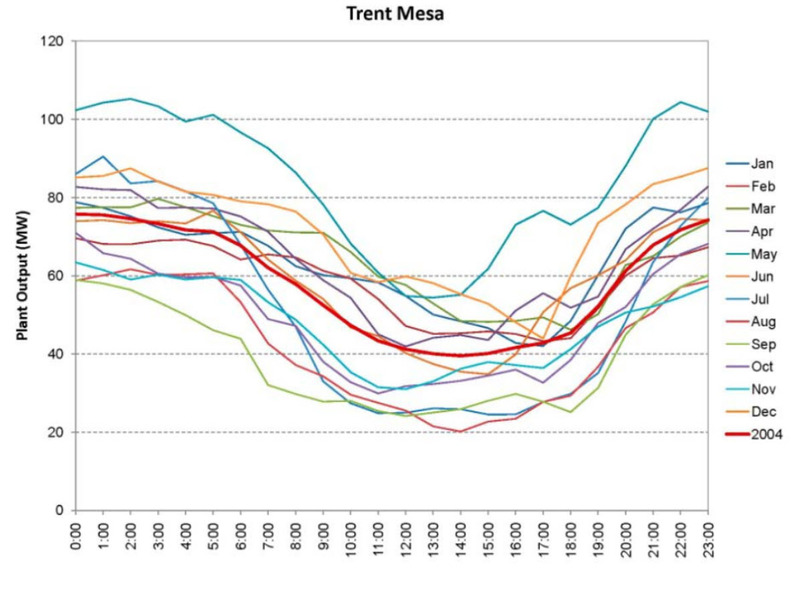 California with its large loads in LA and San Francisco bay area offers a useful case study. While it is true that the wind resource in late fall and winter is low in California, so to is their load. In the summer when the demand is highest, wind power is very reliable and available through the night. In fact, if you look at the data, it turns out that wind power is very predictable in California and thus a high value resource. The term intermittent can mean many things. The general understanding is that intermittent means unpredictable or random. Unfortunately the term is often applied to renewables even when they are predictable such as wind in TX or solar in the Southwest. In those cases, suggesting that the resource is random is naive at best. 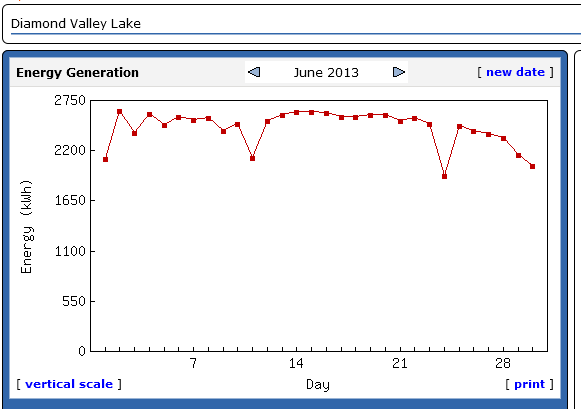 See graph below of solar production from a CA based solar array. Even on the rainy day the array produces considerable energy. Of course on a rainy day, temps and therefore AC demand would be lower. Generally , clouds and rain are predictable in CA. The combination of advanced notice and load reduction minimize and possibly eliminate the grid stability ramifications that may be existent for high penetration of solar in other areas. Energy production from a 600kW solar array in Hemet CA. Energy production is consistent and predictable. Some surface the concern that people will not respond to TOU rates. However pilot programs are showing that people do respond and shift their usage. Figure 7 shows one such study. There are even scenarios emerging where coupling an EV with a solar array can LOWER the user’s electric bill. In other words, it is possible with some rate structures to add an EV and lower your electric bill!. EVs are poised to play an important dual role of both reducing carbon from transportation and enabling higher penetration of renewable energy. The pieces are falling into place for a disruptive change in electricity use and distribution to a carbon free paradigm. Time of use metering + EV + Solar can make your electric bill go negative . Texas is giving away electricity if you load shift. In Indiana they are already providing rate incentives for EV charging off peak and the price is phenomenal. GTM post on a government report about load shifting using TOU metering HERE . TEC smart charging Here . Part II of this post assesses how to deal with long term lulls in the wind. Massachusetts offers time of use metering which could be highly favorable to EVs and other load shifting options HERE . 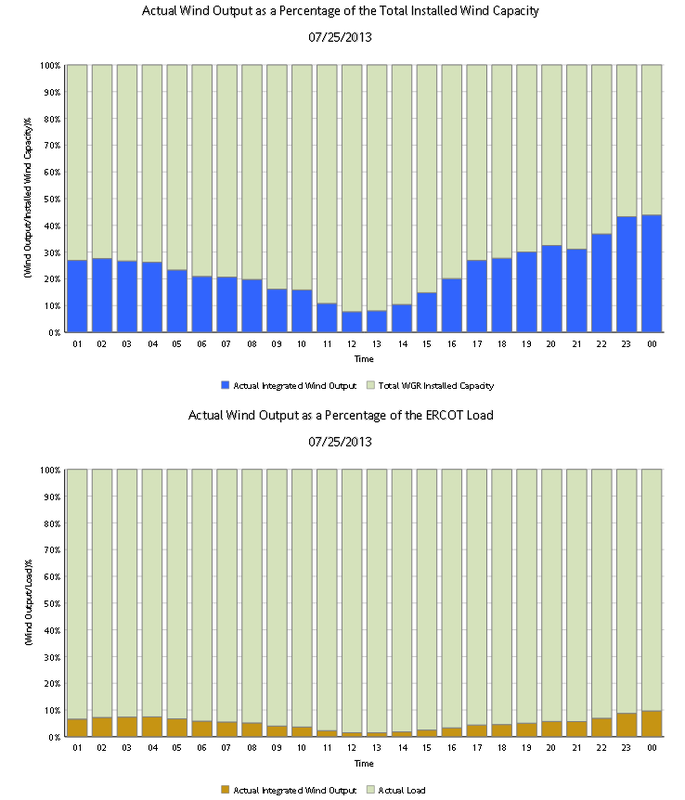 ERCOT wind data HERE . ERCOT wind at peak demand plentiful on TX coast. ERCOT CREZ Transmission Line upgrade HERE . 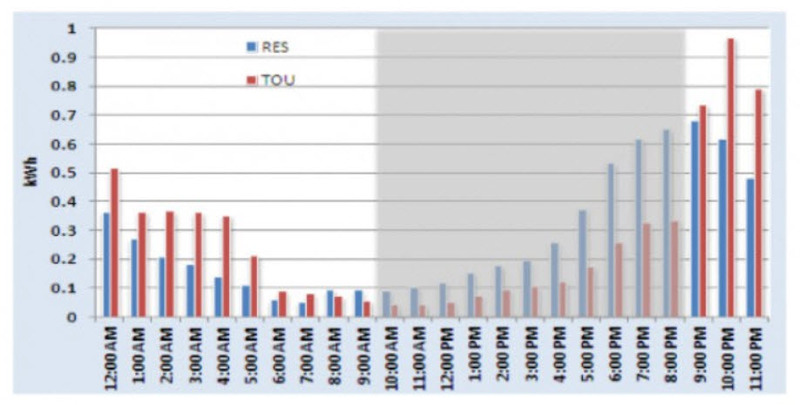 Report on ERCOT peak load and wind interaction. Includes duration curves and pricing information during peak usage. Report on CAISO including graphs showing demand peaks and prices. This piece dispels the EV range anxiety myth. This entry was posted in EV PEV, New Energy Paradigm, Path to a New Paradigm, Resources and Information, T&D The New Grid and tagged Electric Vehicle, Energy Storage, EV, Load Shifting, Pluggable Electric Vehicle, Remedy to Intermitency, Renewable Energy, Tesla, United States, wind, Wind Energy, Wind Power. Bookmark the permalink. Nice article, thanks for sharing..